Chancellor Michael Amiridis—like many UIC students—reflects the diverse, global nature of Chicago. The native of northern Greece was himself a first-generation college student, who came to the U.S. to pursue graduate studies in chemical engineering at the University of Wisconsin-Madison. 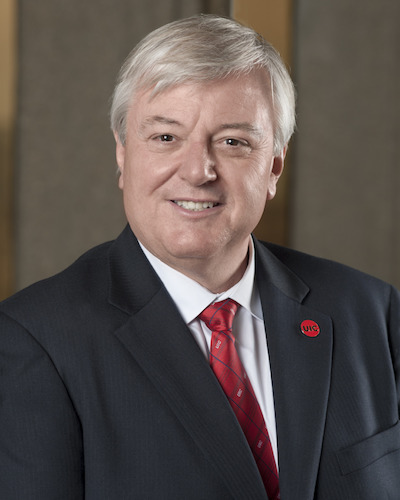 Prior to his becoming UIC chancellor in March 2015, Amiridis spent over two decades as a professor, researcher and senior administrator at the University of South Carolina. “I believe with its rich history of success in high quality education, in the creation and application of new knowledge, and with its unique strengths in the health sciences and in community engagement, access and inclusion, UIC is well-positioned for the future,” he said. As UIC’s chancellor, Amiridis heads Chicago’s largest university campus, with 30,000 students. The campus ranks 58th in federal research funding. UIC has a nearly $2 billion budget, 12,000 faculty and staff, and 15 academic colleges, including the nation’s largest medical school. UIC also operates the state’s major public medical center, along with a network of federally qualified clinics and regional health sciences campuses in Peoria, Rockford and Urbana-Champaign.